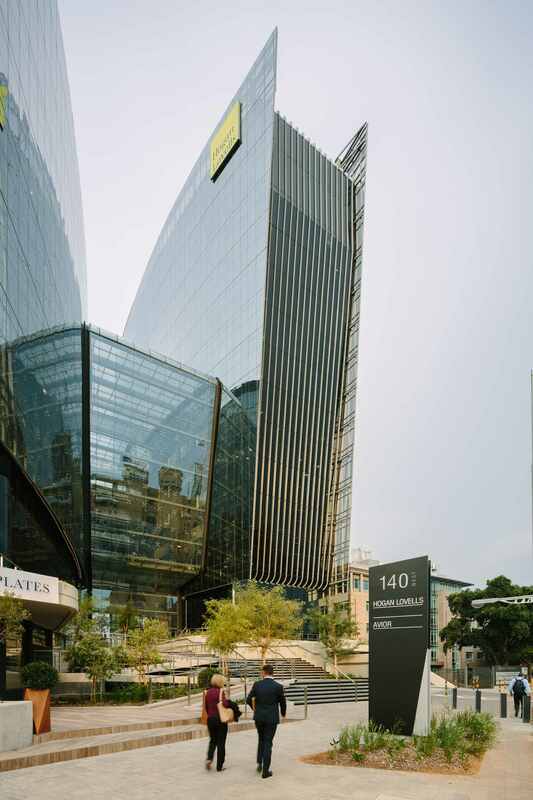 140 West Street in central Sandton consists of a 10-storey North Tower and 14-storey South Tower. 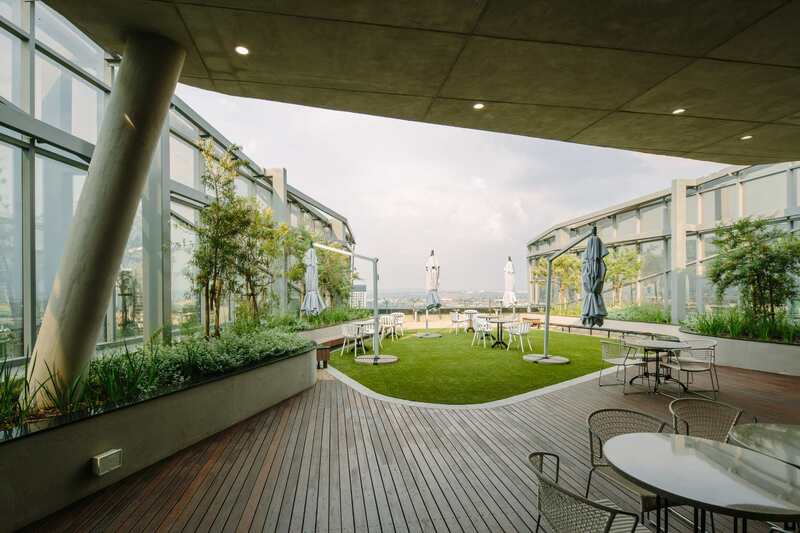 The building, which received a 4-Star Green Star SA Office V1 Design certification, offers exclusive landscaped roof terraces on the 8th, 9th and 12th floors, from which to take in the remarkable, panoramic views across Johannesburg. 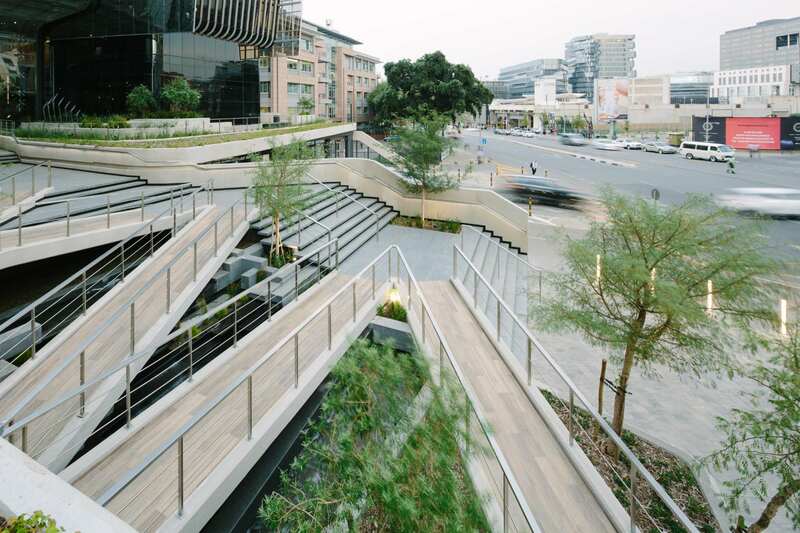 The project, developed by Zenprop Property Holdings, incorporates sustainable design features such as rainwater harvesting, treatment and reuse. 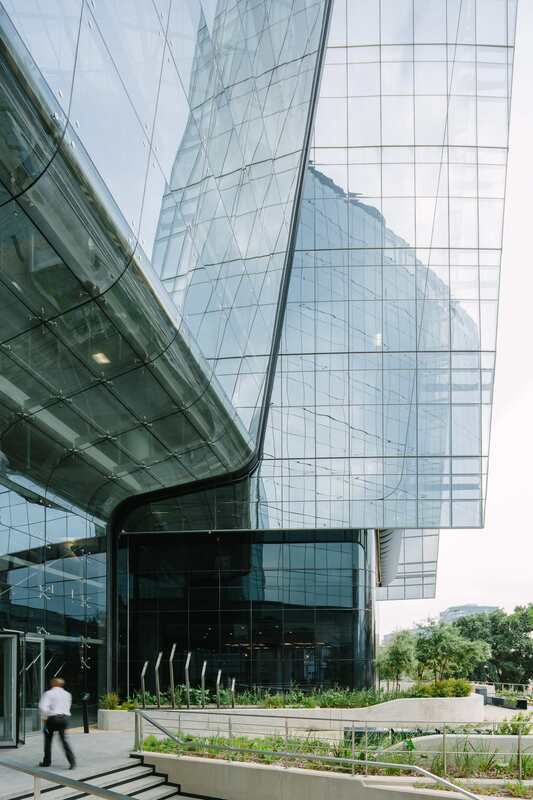 The building’s highly-engineered, fully glazed facades and favourable orientation allow for the maximum natural lighting possible while restricting glare and heat transmission. 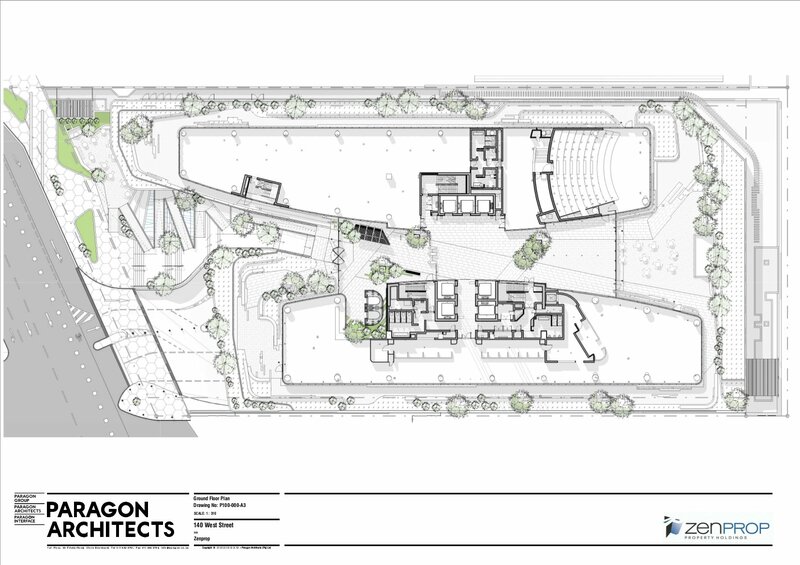 The project offers a gym, state of the art auditorium, dedicated cyclist and motorcyclist bays, and shower and change room facilities to encourage users to commute by bicycle. 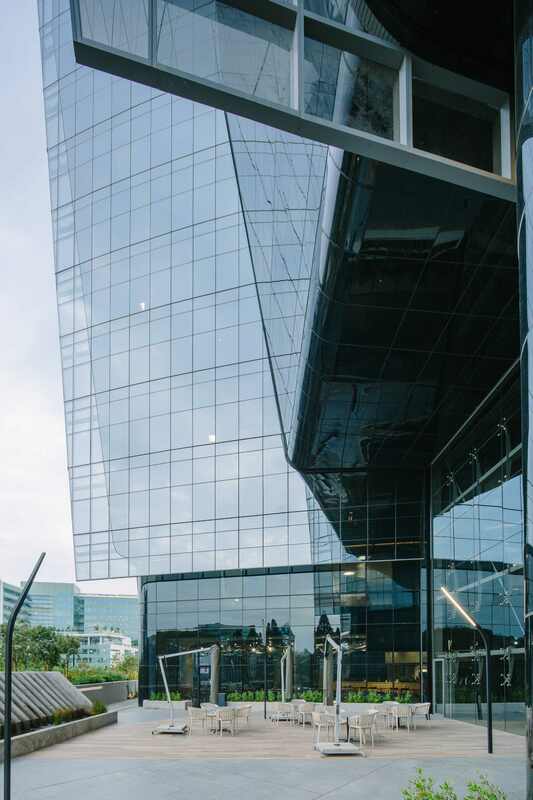 The parking bays closest to the cores are dedicated to those who drive energy efficient cars. 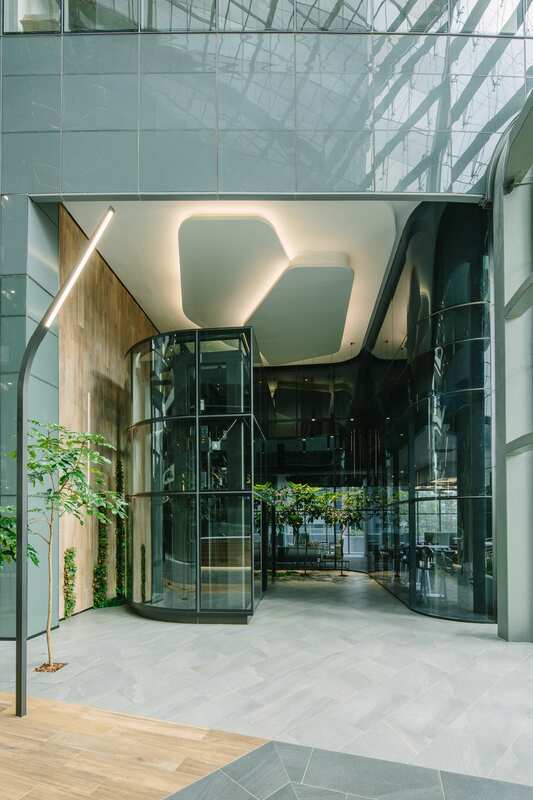 The use of tactile materials and the integration of planting and natural light throughout the building aim to give users the feeling of being close to nature. 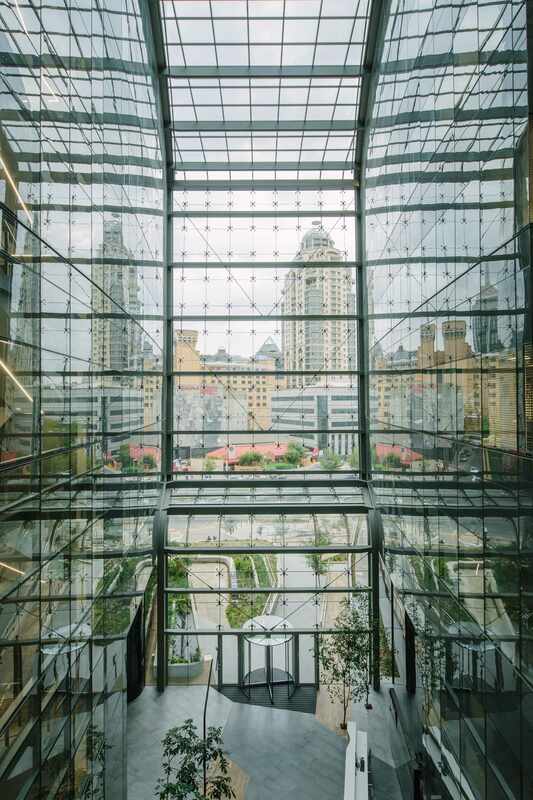 The two towers are joined by a clear glass roof which appears to wrap over the point of arrival, and seamlessly envelopes both the atrium and the pod-like structure which houses the five linked floor plates. 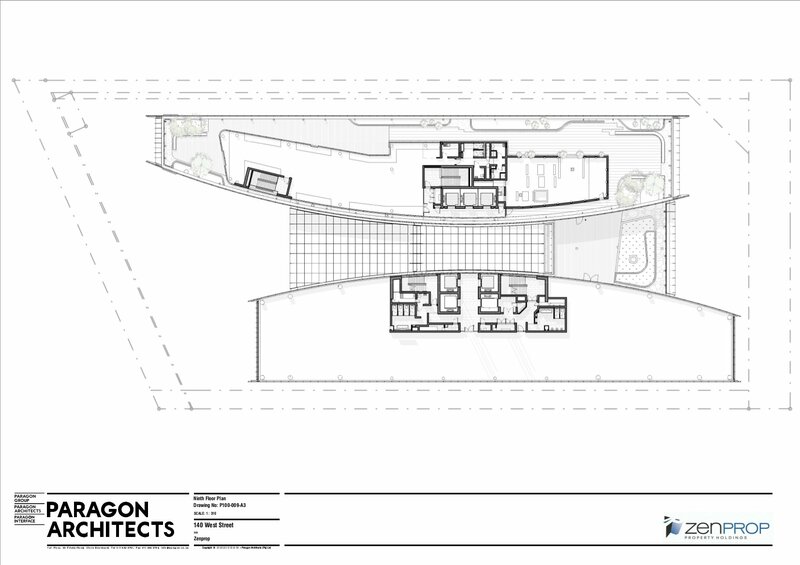 The edge of this floating pod is open to the atrium, and this zone is activated with pause areas and collaborative work spaces. 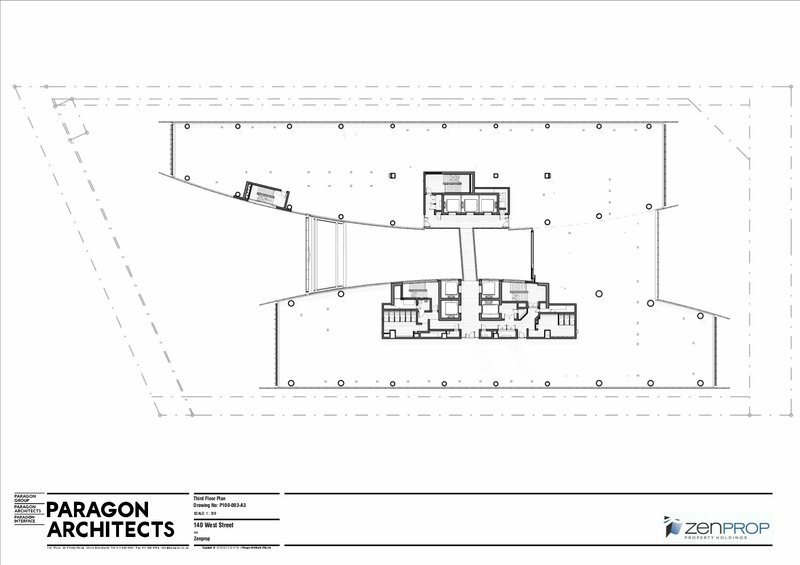 Sculptural bridges crossing the atrium fan away from one another and alter in form from one level to the next. 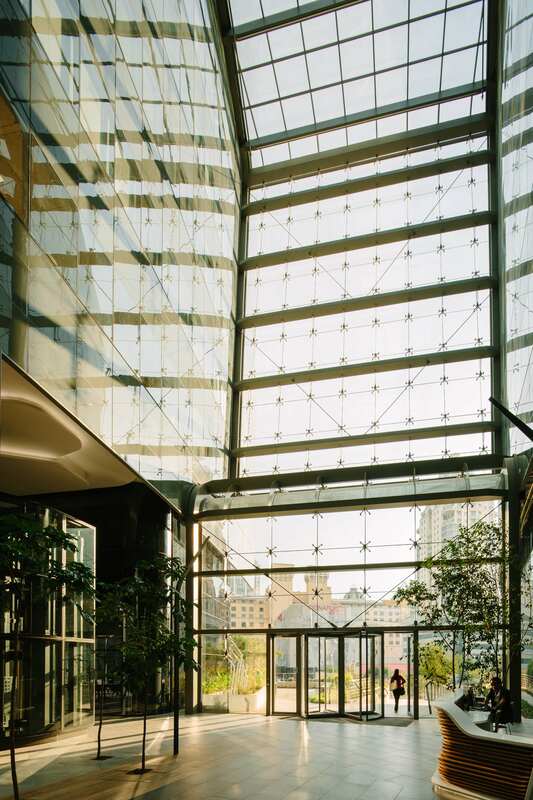 These make the floor plates efficient and facilitate future flexibility. 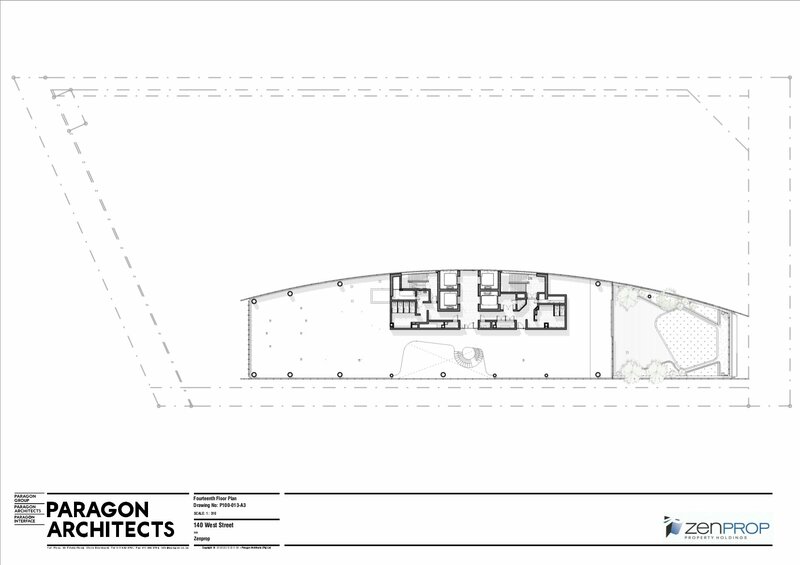 The floor plates taper towards the east and west gable ends, where complex hidden transfer structures have been designed to enable the building to lean outwards towards east and west. 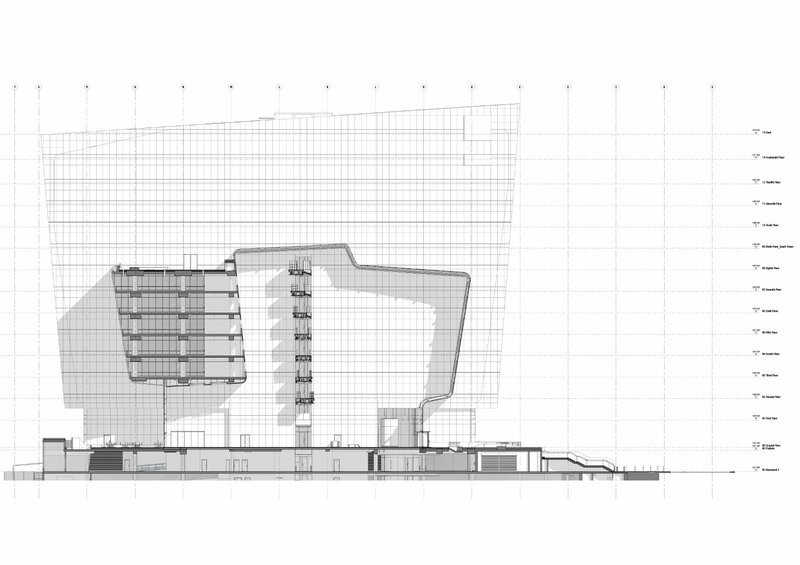 These impressive facades are shaped to create gentle bends in each face. 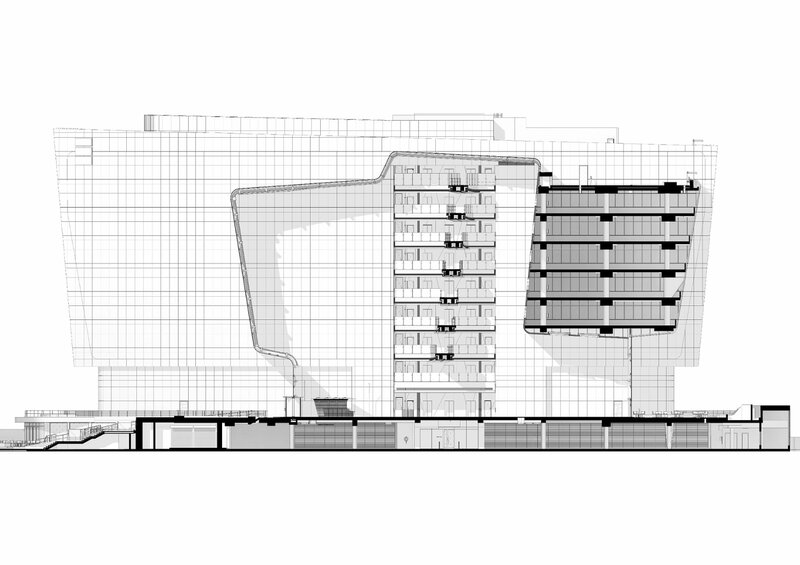 Their form is further enhanced by metal fins, which not only texturize the gable facades, but also provide shading. 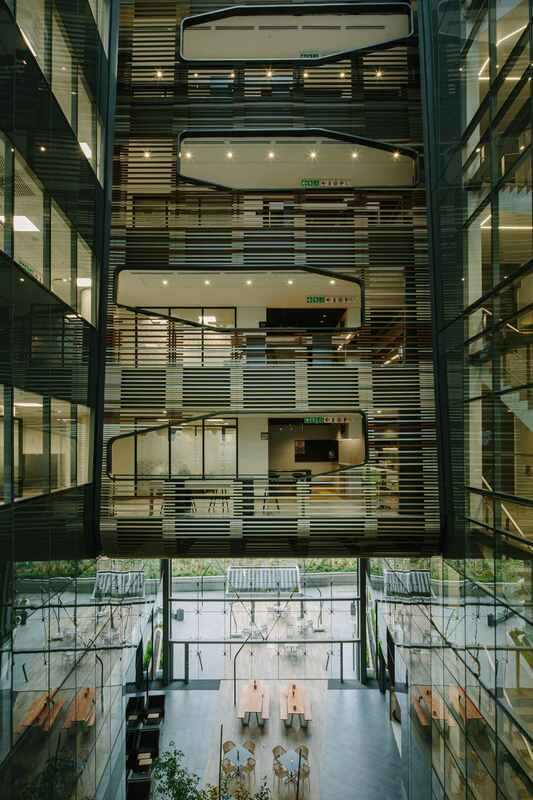 Comprising P-grade office space, the building houses a prominent international legal practice together with other tenants. 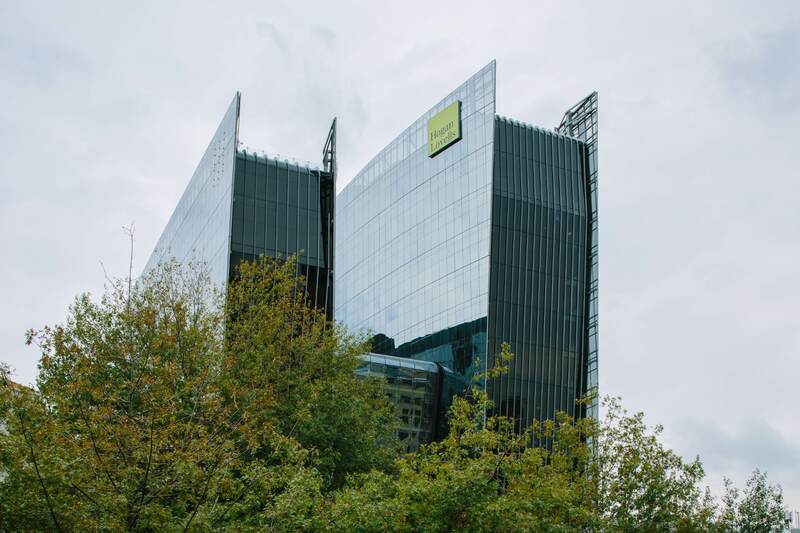 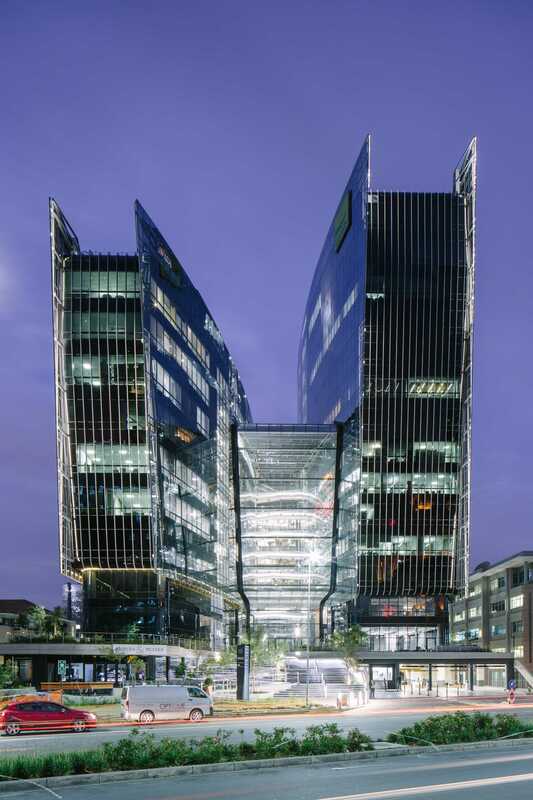 During March 2018, the building received confirmation of its 4 Star Green Office Design V1 rating by the GBCSA. 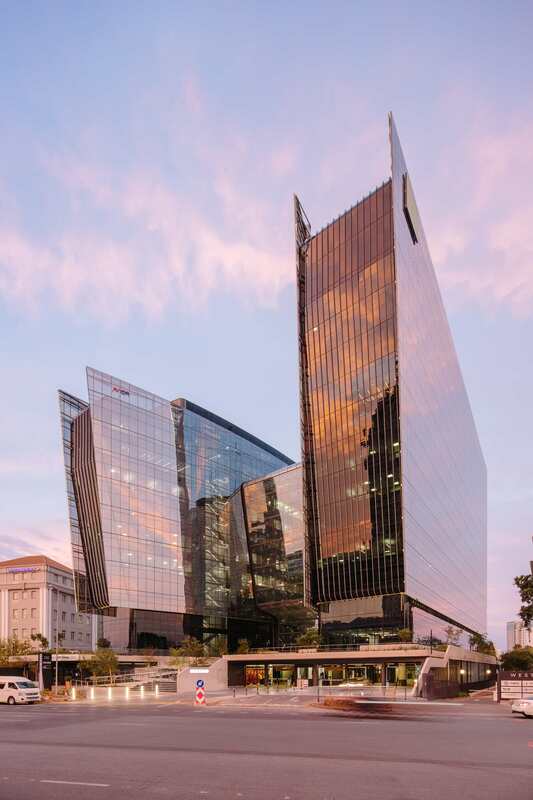 The building was the winner of the Commercial Developments category for the 2018 SAPOA awards.